Do you see the girl leaping into the air for joy? That’s me, after my first Dirty Girl Mud Run. I had no idea what an amazing experience it would be. Honestly, I wanted to back out of it the day before the event…I’d never done anything like this before! I stuck it out, and I’m so glad that I did. See my handprint on my shirt? My homage to Wilson the ball. I’m extremely fortunate to be a part of a San Antonio blogging group. 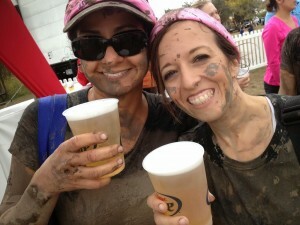 One of the bloggers suggested that we form a team and participate in the Dirty Girl Mud Run. I was looking for an excuse to start working out again, and I thought this event might motivate me to get back in shape. Well, that never happened. 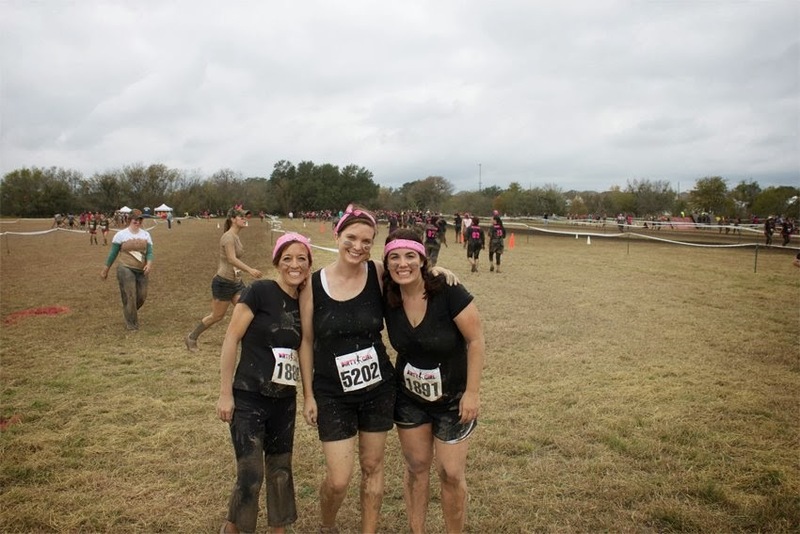 The day of my first mud run arrived, and I found myself nervous, unprepared, and about to race with a group of women I’d never met in person. What was I thinking? My fears were completely unfounded. I had a BLAST. This is more than a mud run. It’s empowering. It’s fun. It’s an incredible bonding experience. 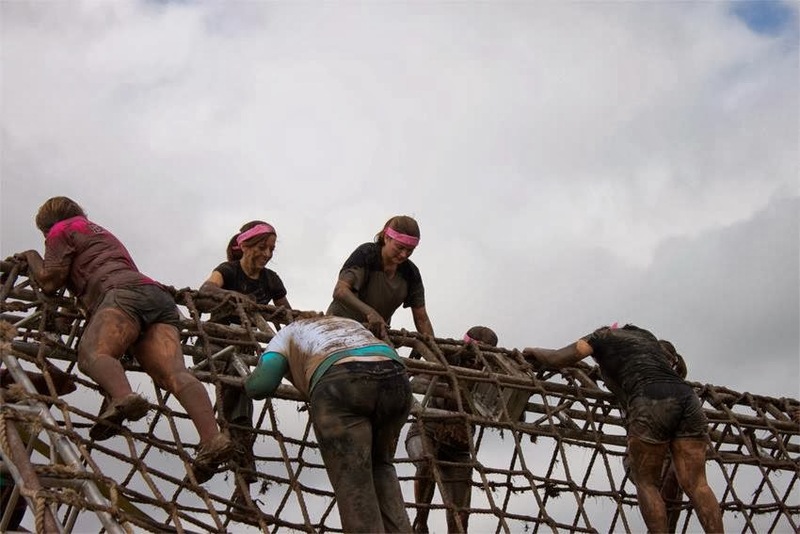 Women in all shapes and sizes, of all ages, worked together to overcome obstacles, get dirty, and have fun raising money for a good cause. 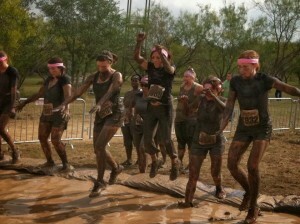 I was overwhelmed, in a good way, by the way the women encouraged and supported each other. I saw more than once how a runner would climb to the top of a wall, look down, and start trembling in fear. 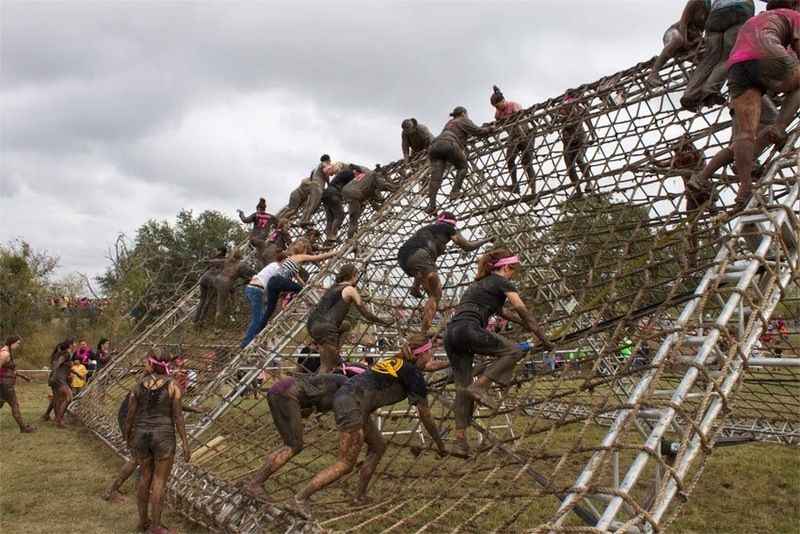 The entire crowd of women waiting to climb would should words of encouragement and advice, and those next to her would guide her over the wall. It was beautiful to see. 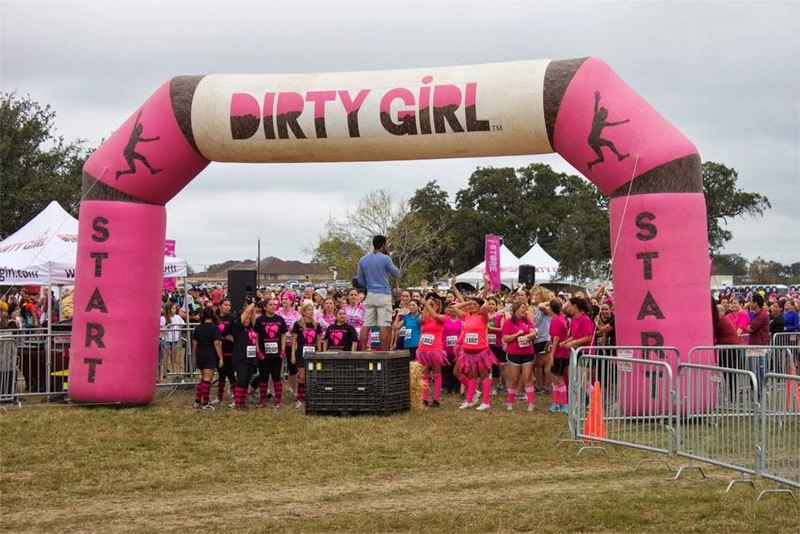 The Dirty Girl Mud Run is coming back to San Antonio December 7, 2013. I WILL be there, and I hope you’ll join me and the Blogaritas (our blogger team!) 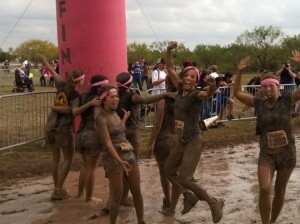 Use the code DGSANANTONIO for 20% off registration here http://godirtygirl.com/mud-run/event/San-Antonio-Texas-2013/67. Leave me a comment if you’ll be there…we can support each other! 1. I had read not to wear contacts. I wore mine. I’ve worn them every day for the last 20 years, and I can’t imagine diving in the mud in my eye glasses. Do what works for you. 2. We all have figure flaws we try to hide, but loose fitting clothing is not a good idea at this event. 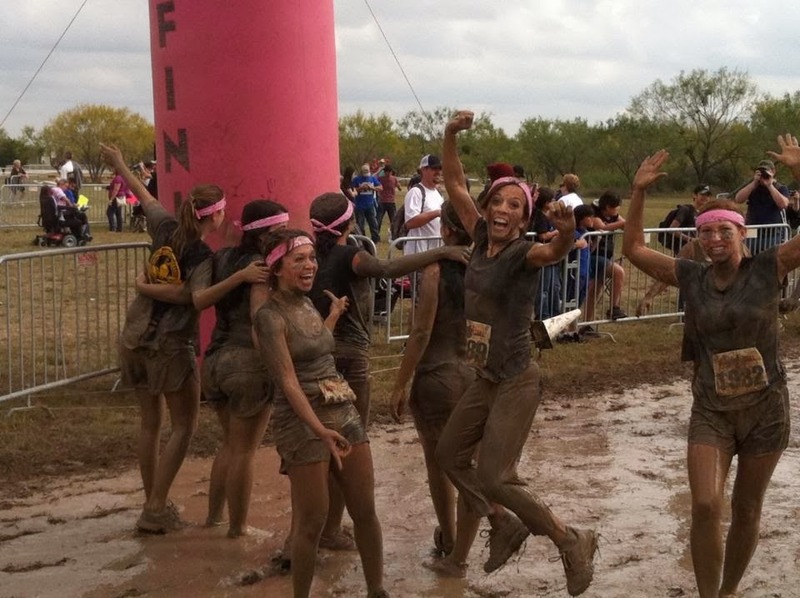 Your clothes will be weighed down by water and mud. I wore yoga style pants that were flared…this time I’ll wear tighter pants. 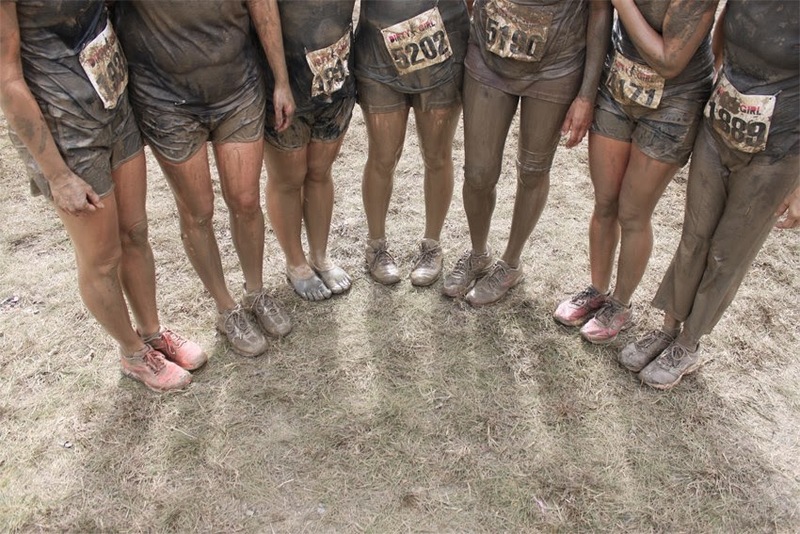 Leggings or yoga pants will keep the mud out better than shorts. 3. Think wet t-shirt contest, with mud added. Wear the appropriate undergarments. 🙂 I wore a sports bra, and that worked well. 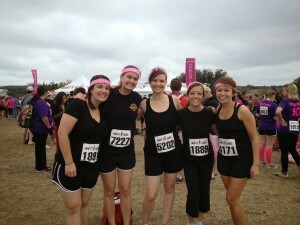 I also wore Underarmour boy shorts and I was the only one on my team who didn’t have mud in her unmentionables. LOL. 4. 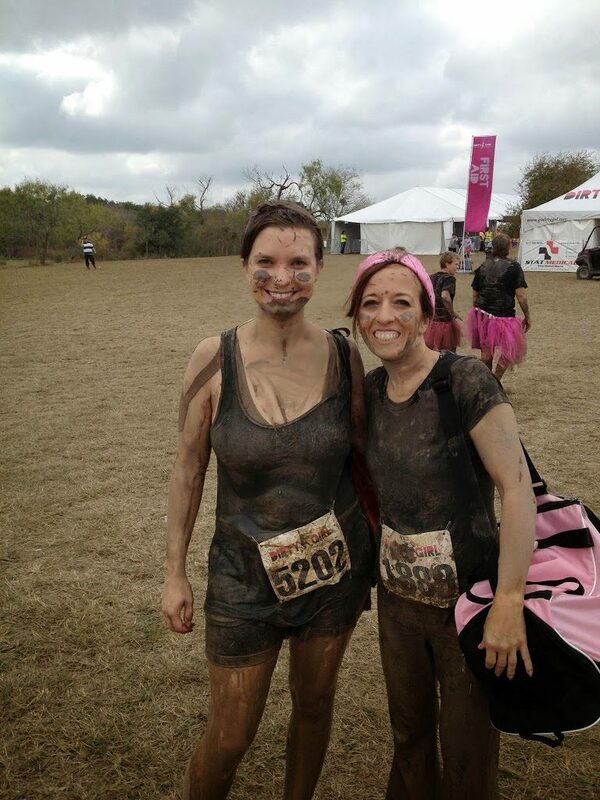 You don’t need to be an athlete for this event. You can walk the entire course, and if the obstacles seem overwhelming, you can go around them. Don’t let fear hold you back from participating. 5. The “shower” is a tent with water hoses. The water is very cold. Just grab your free beer at the end of the race, stand in line chatting with everyone, and be prepared to act like a bunch of little kids with a water hose on a summer day. Any questions about the run? Feel free to ask and I’ll do my best to answer! This post is the BEST!!! Love the before and after photos! You look like you were having a blast!! 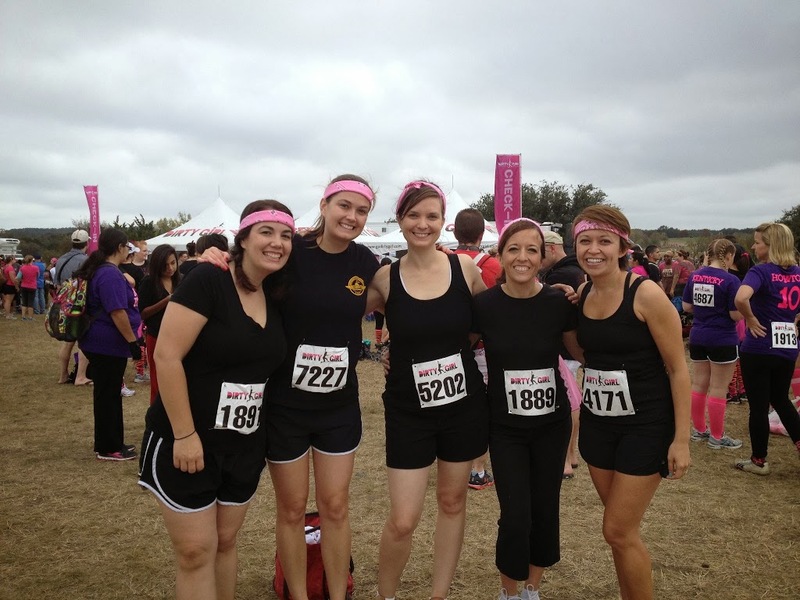 Our company held a mud run to encourage physical activity! I didn’t do it; but will give the next one a serious thought after seeing your run! Thank you so much for sharing!! Delightful!